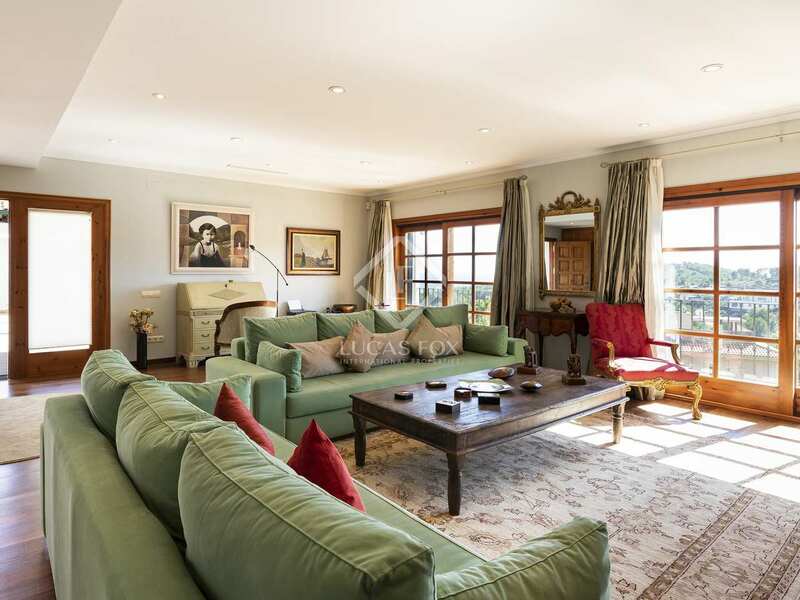 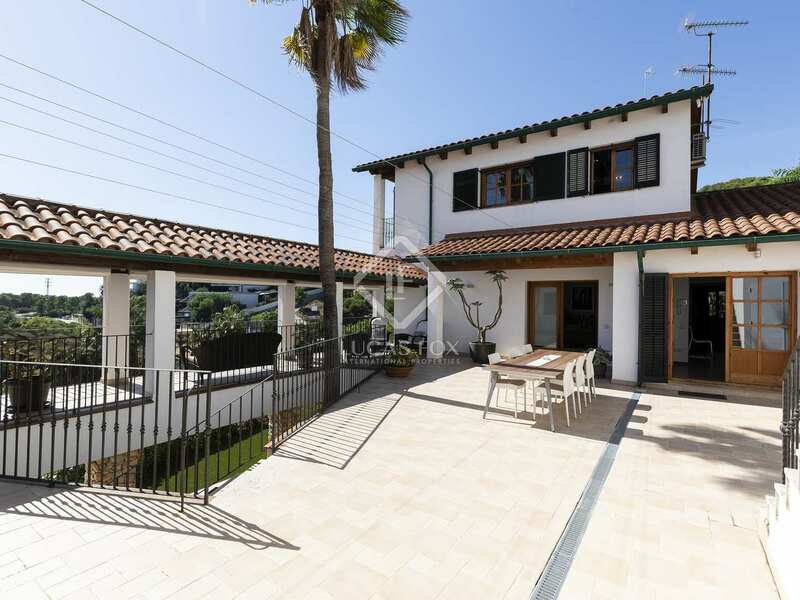 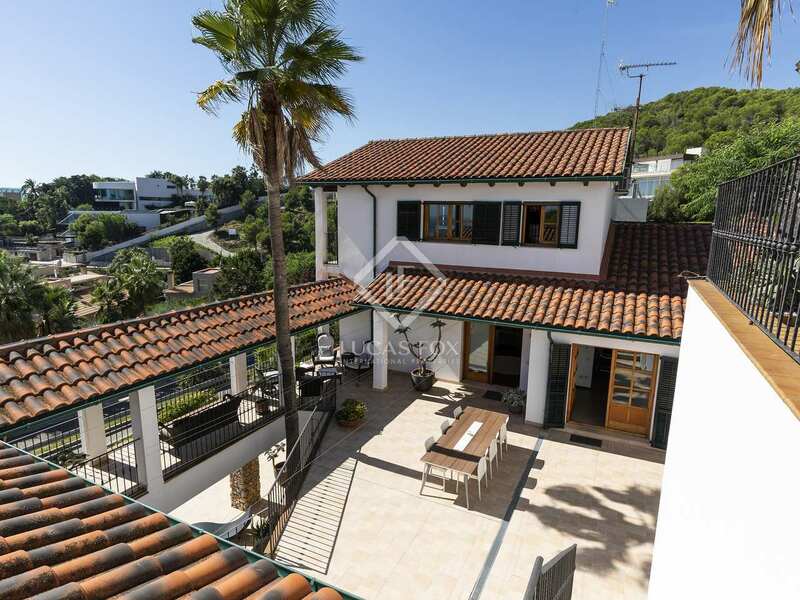 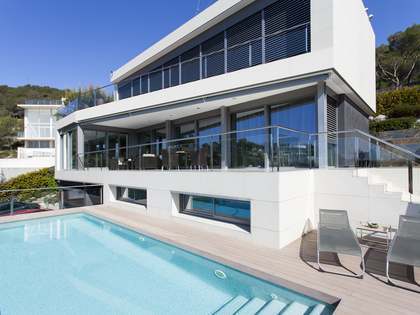 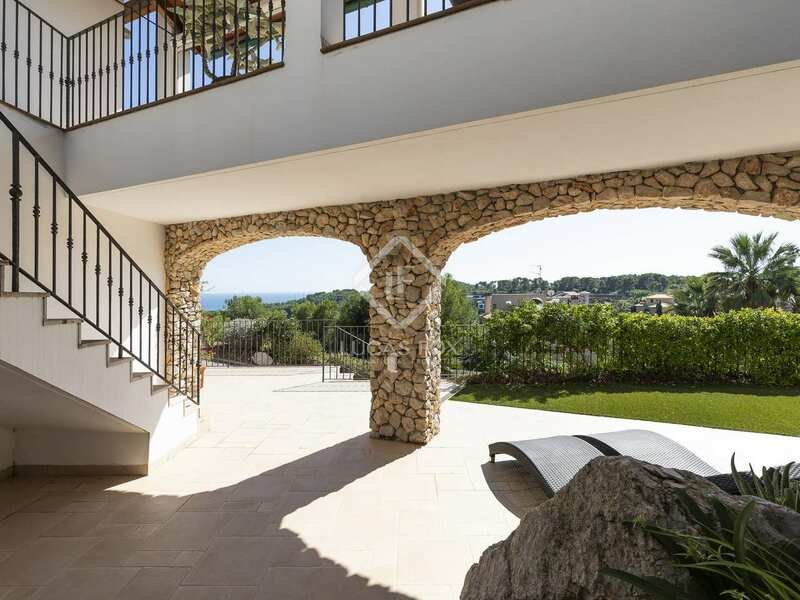 South-facing Mediterranean villa for sale in a privileged location in the upmarket Can Girona residential area with panoramic views of Sitges, the sea and the golf course. 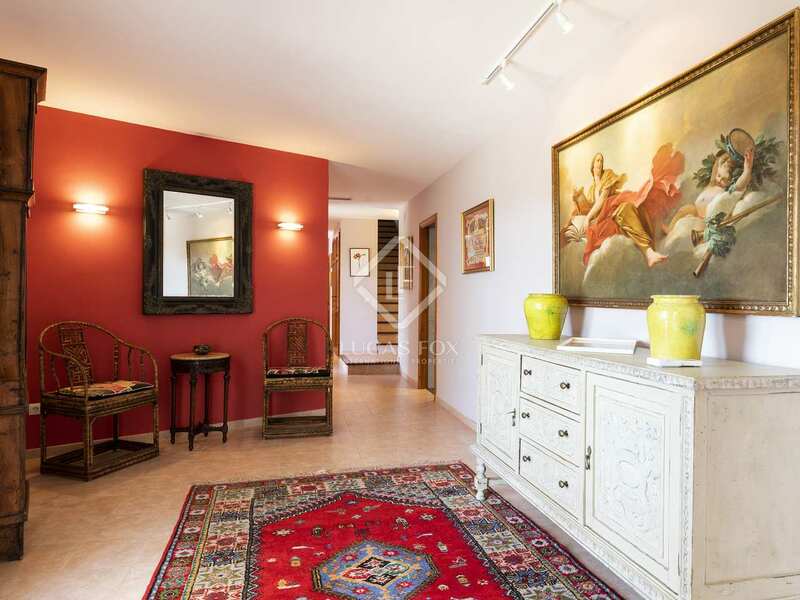 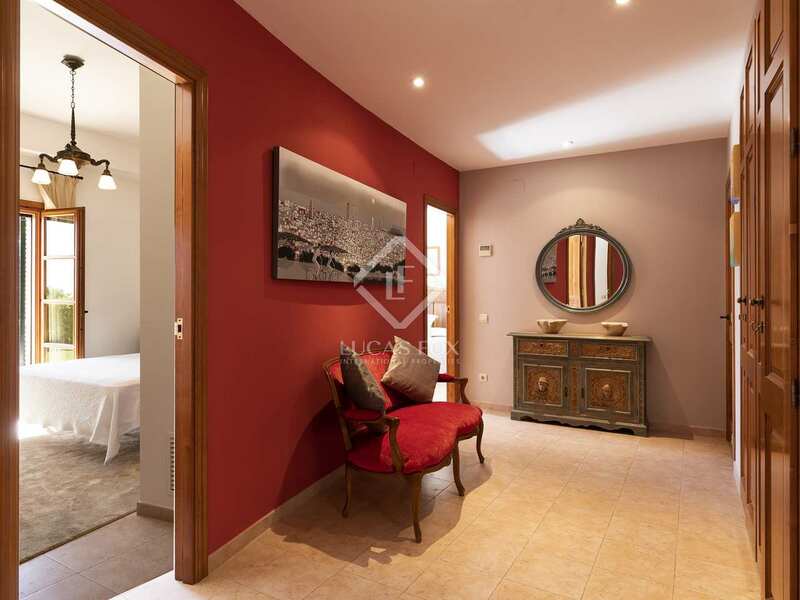 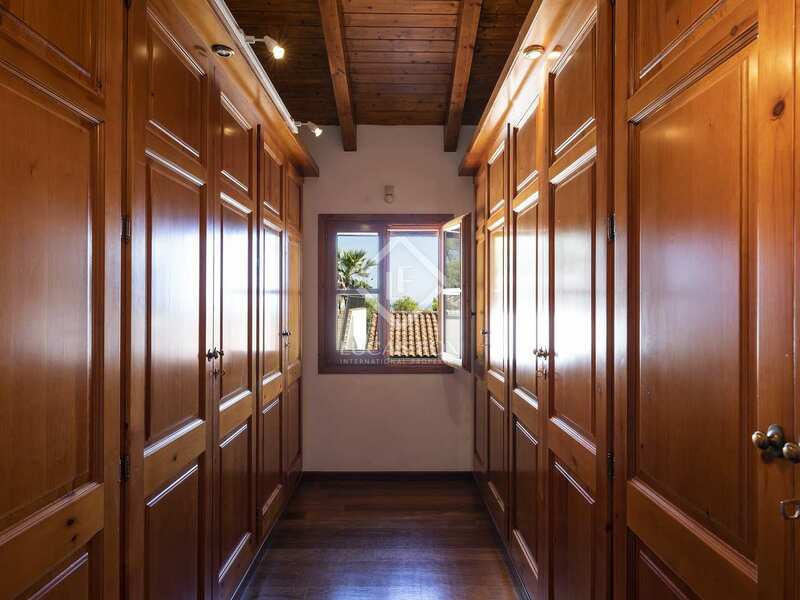 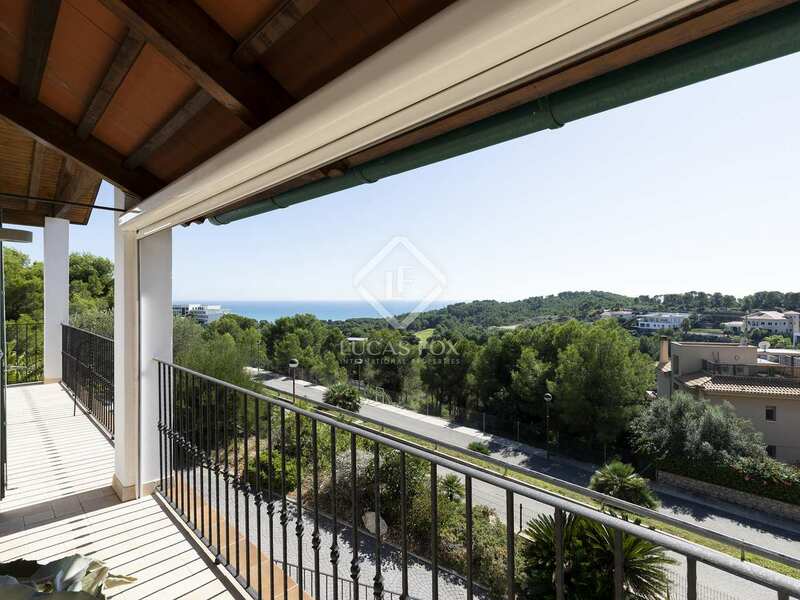 It is just a 15-minute walk from the beach and a 5-minute drive from the centre of Sitges. 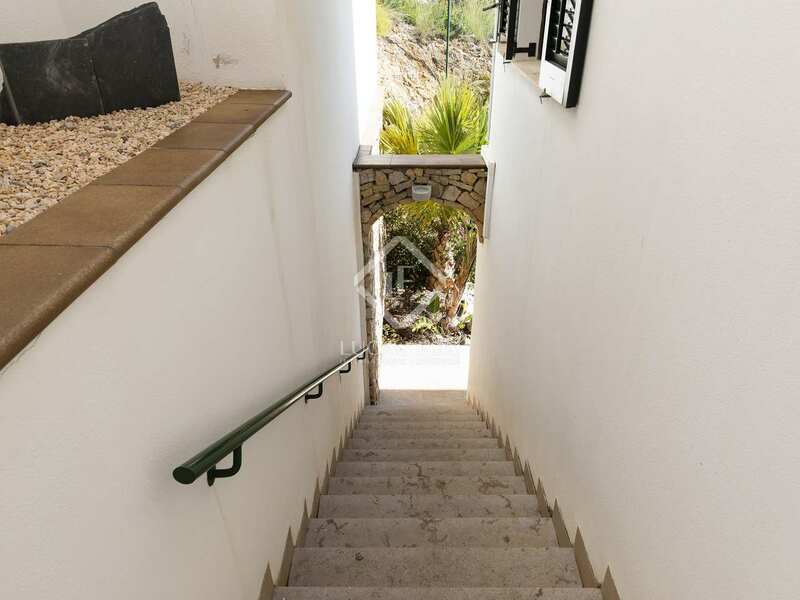 The house offers the perfect combination of a secluded location in the gentle hills but is also right next to a lovely seaside town. 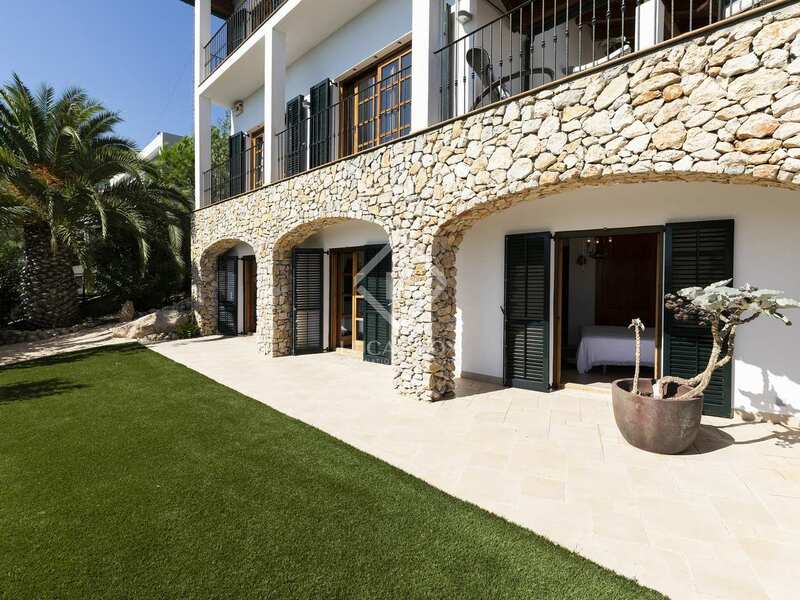 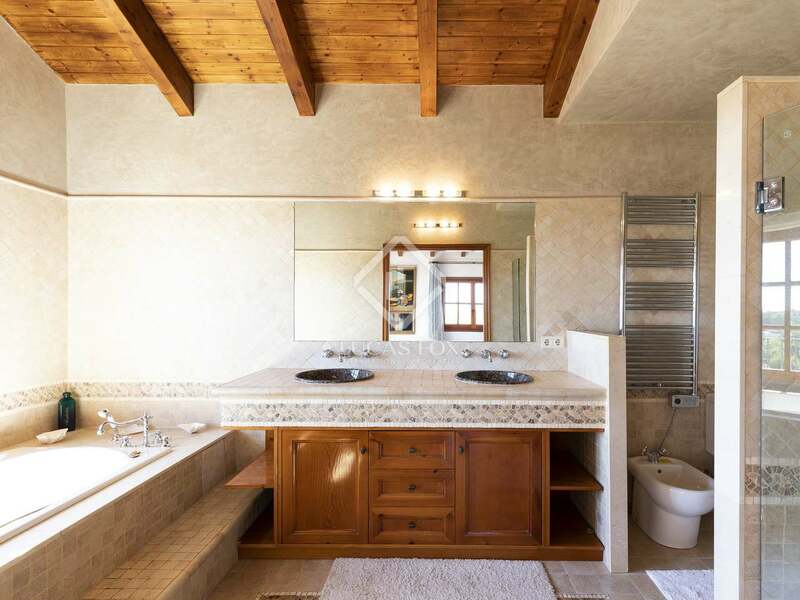 The property boasts lovely terraces and a swimming pool which is on the highest level of the plot, directly connected to nature, with complete privacy and spectacular panoramic views as well as a covered seating area and a convenient changing room with a shower. 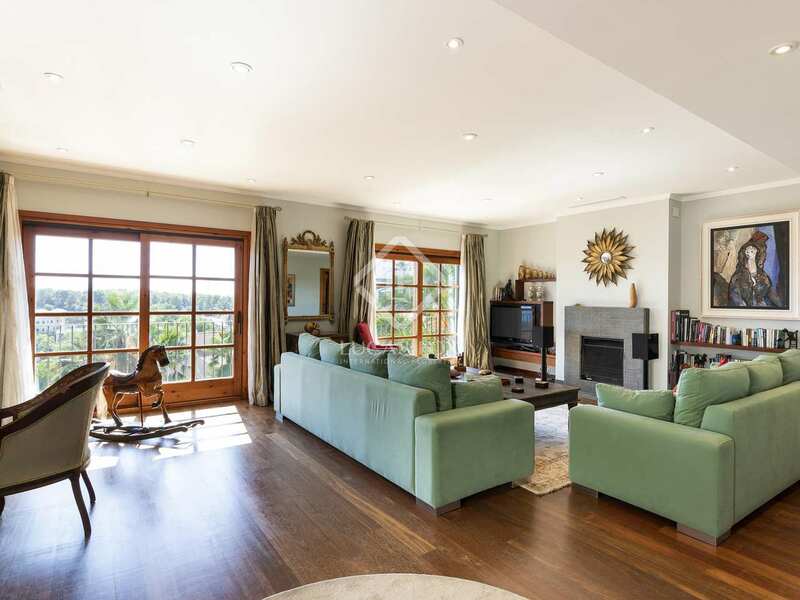 Inside the house we find high quality finishes with wooden floors and a well planned layout that places the main living areas on the middle floor. 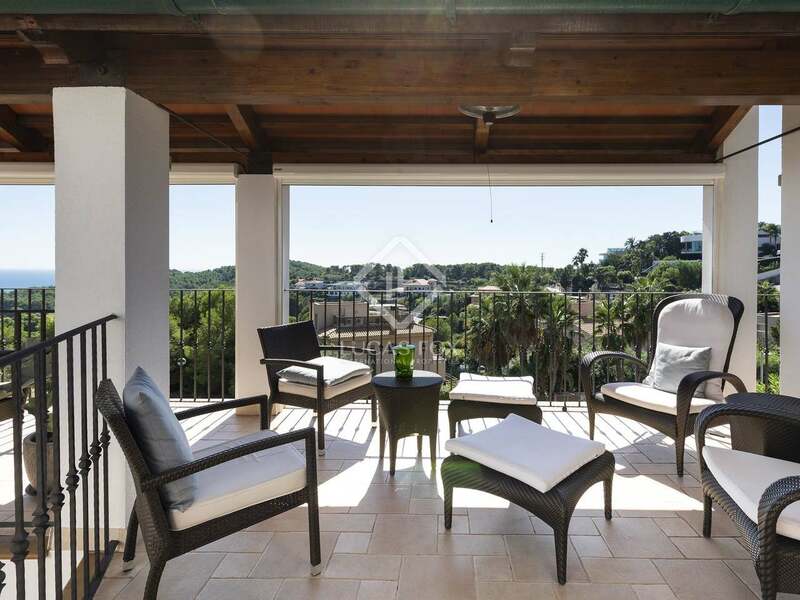 The living room with a cosy fireplace and fully equipped kitchen with a high ceiling are on this level, as well as a central terrace that offers complete privacy and a covered area for outdoor living all year round. 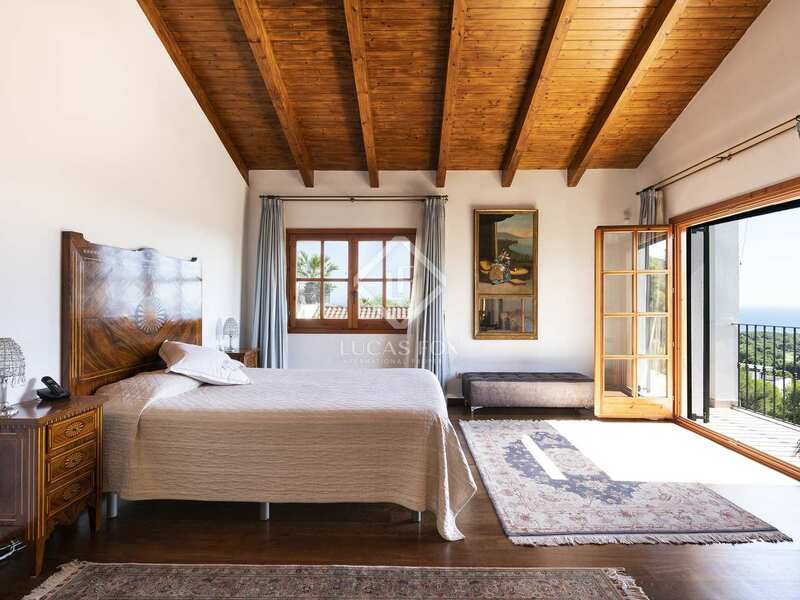 The master bedroom with its walk-in closet and ensuite bathroom is on the top floor, while the guest bedrooms are situated on the lower floor with a private garden area and a 2-car garage. 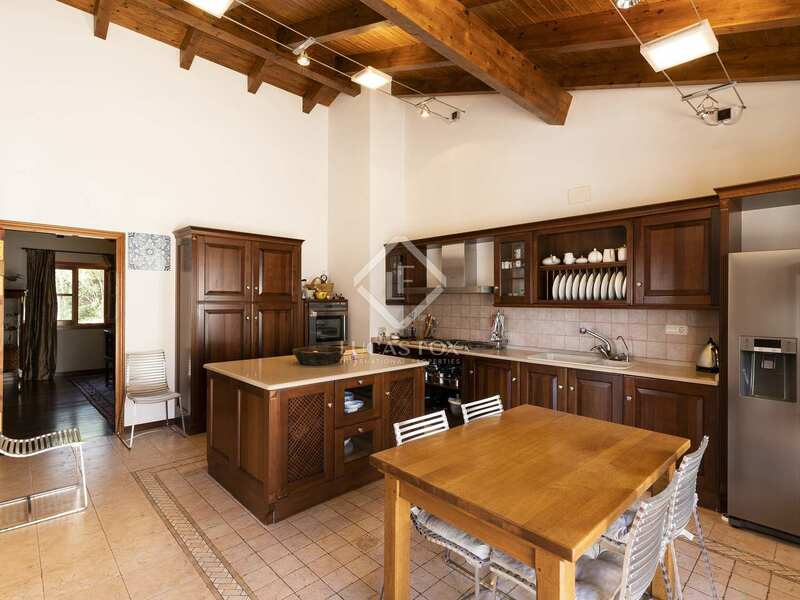 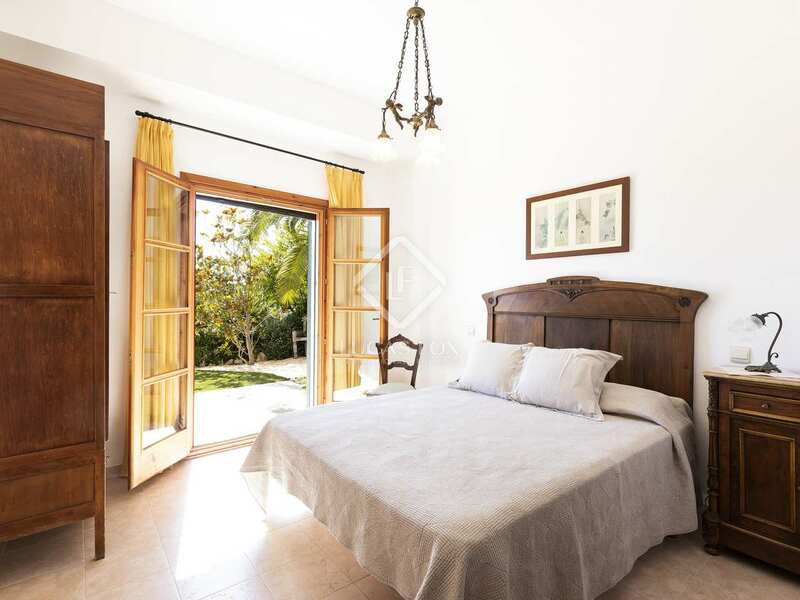 Furthermore the property offers independent accommodation that would be ideal for service staff or as a guest apartment with its own living room - bedroom, kitchenette and bathroom. 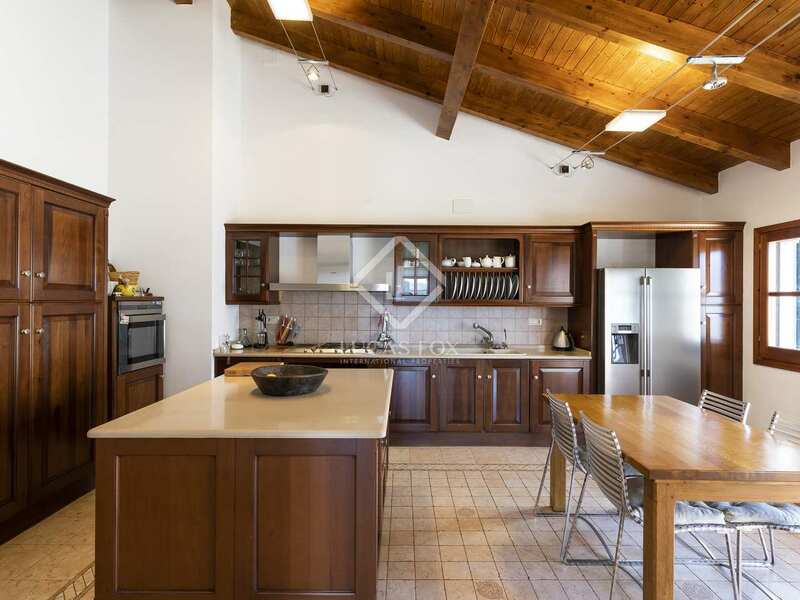 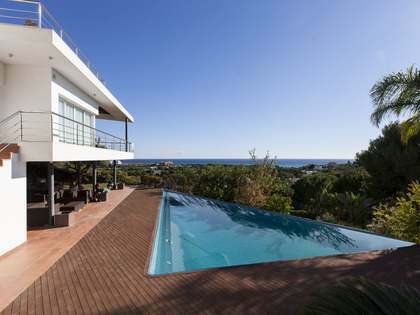 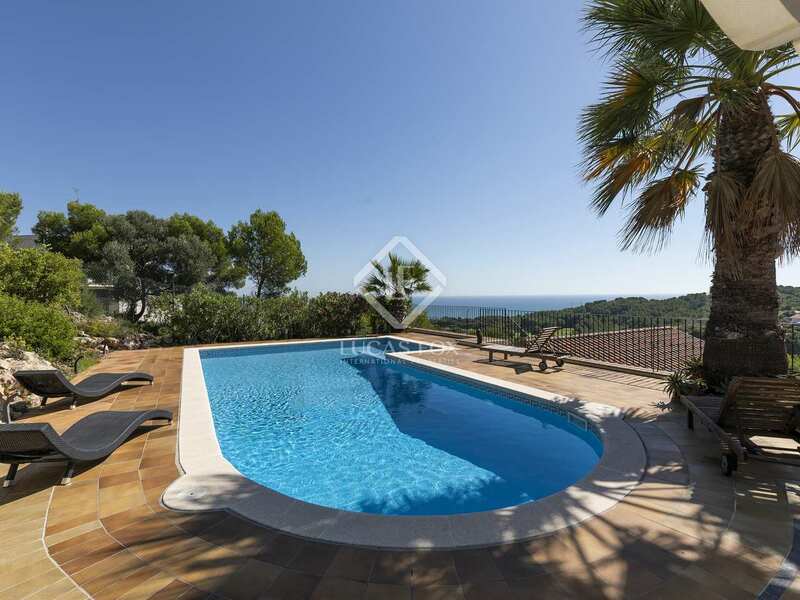 A fantastic villa in a prime location of Can Girona in Sitges, for year-round living or as a comfortable second residence. 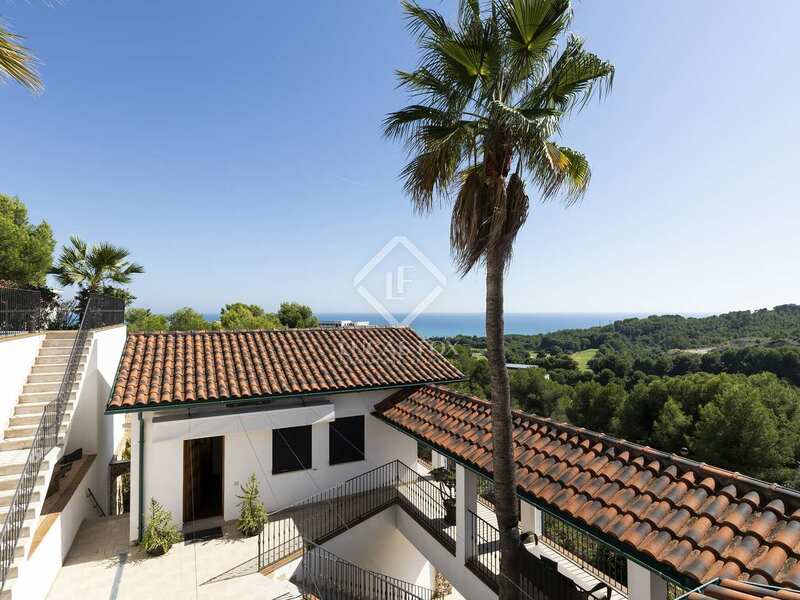 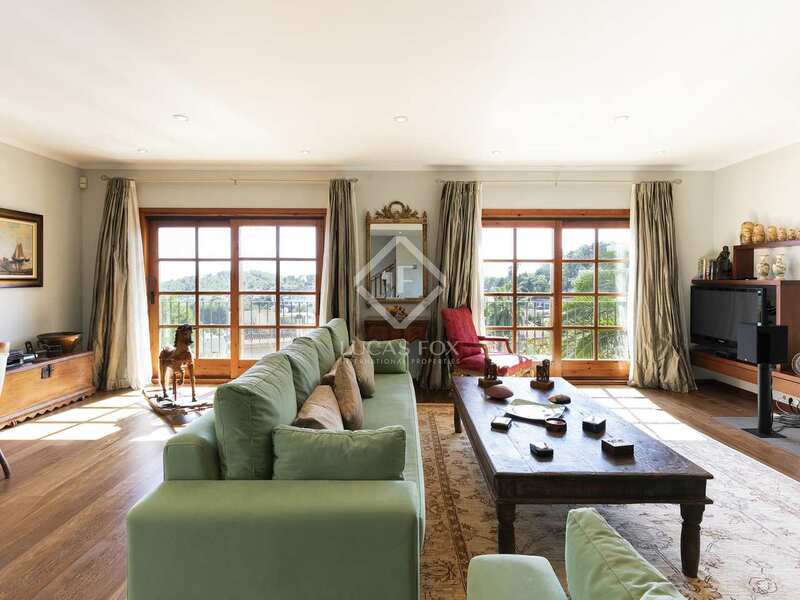 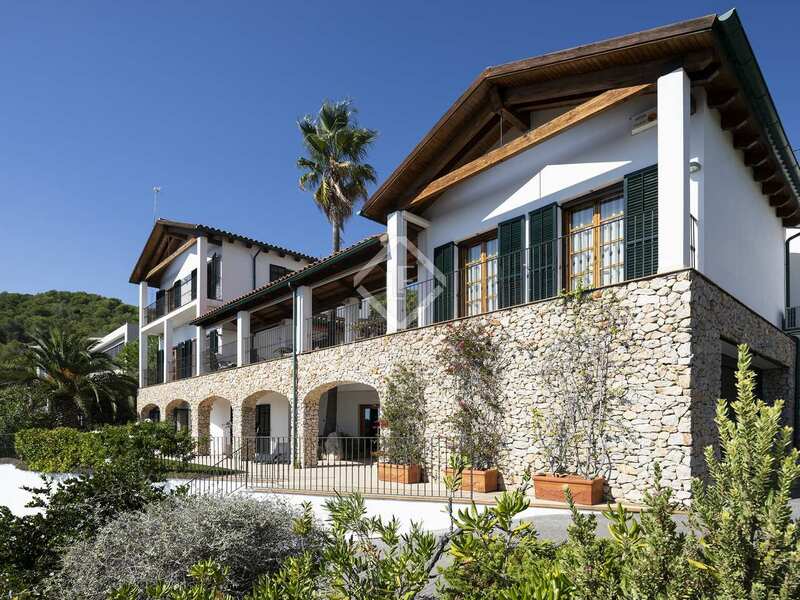 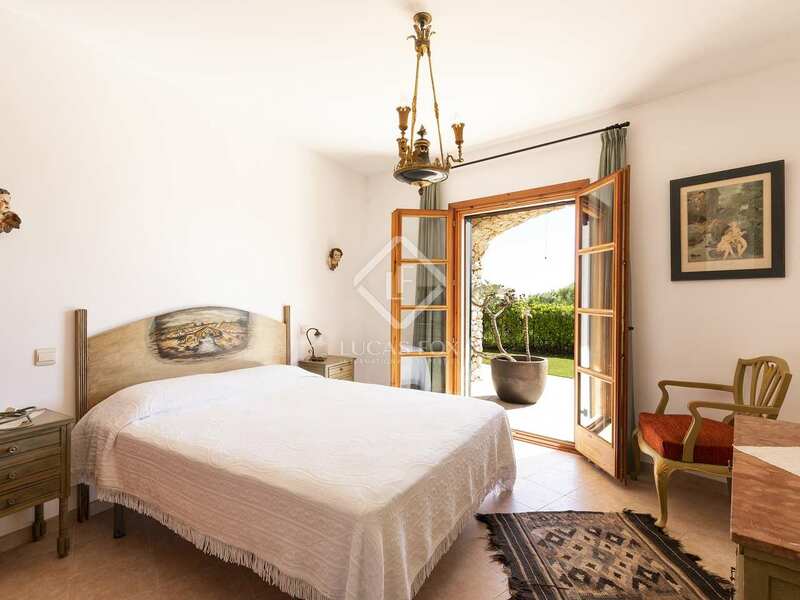 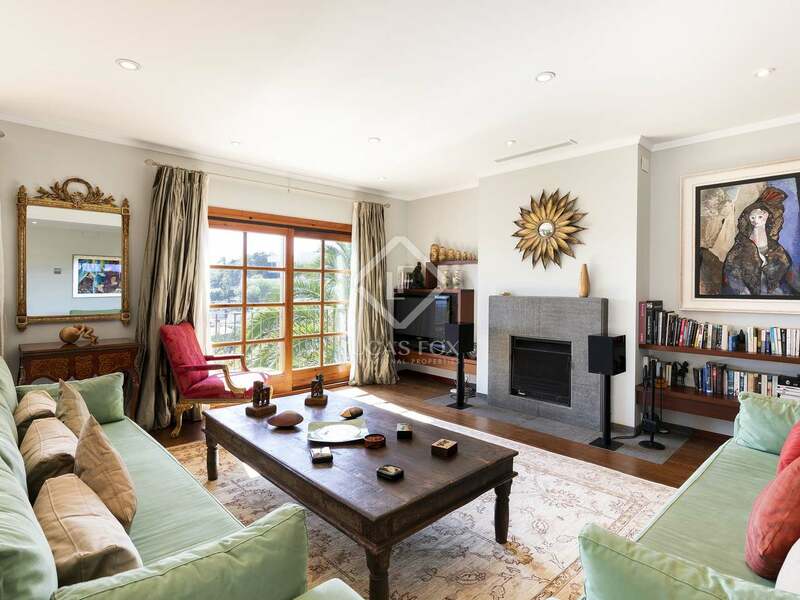 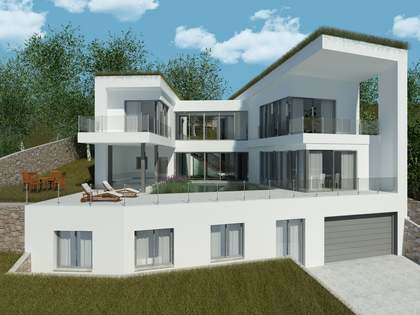 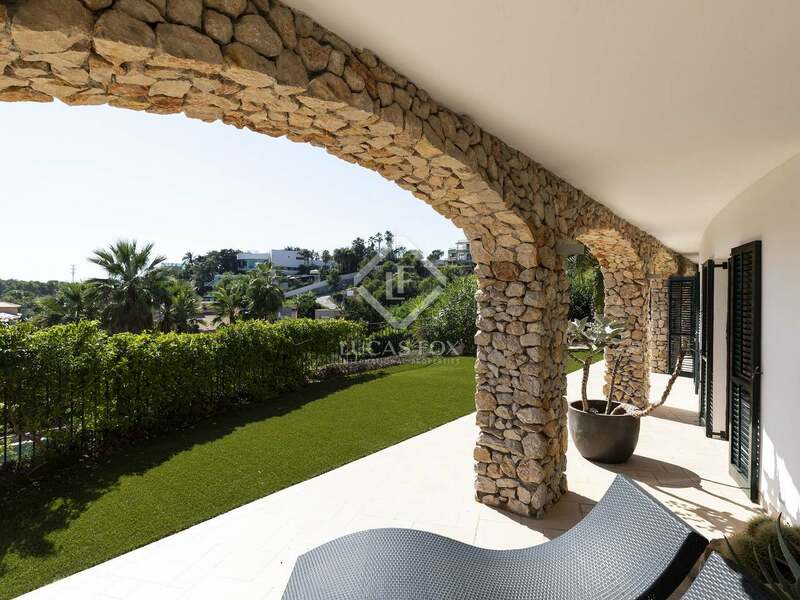 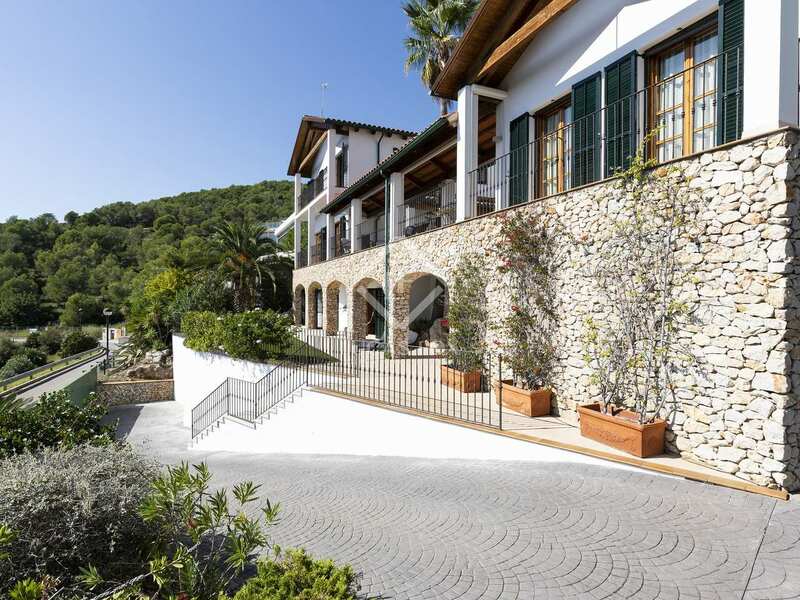 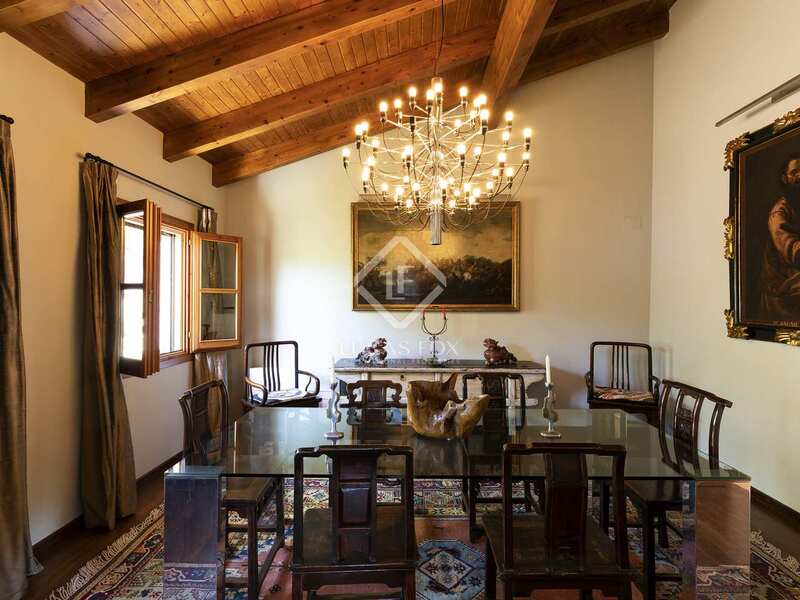 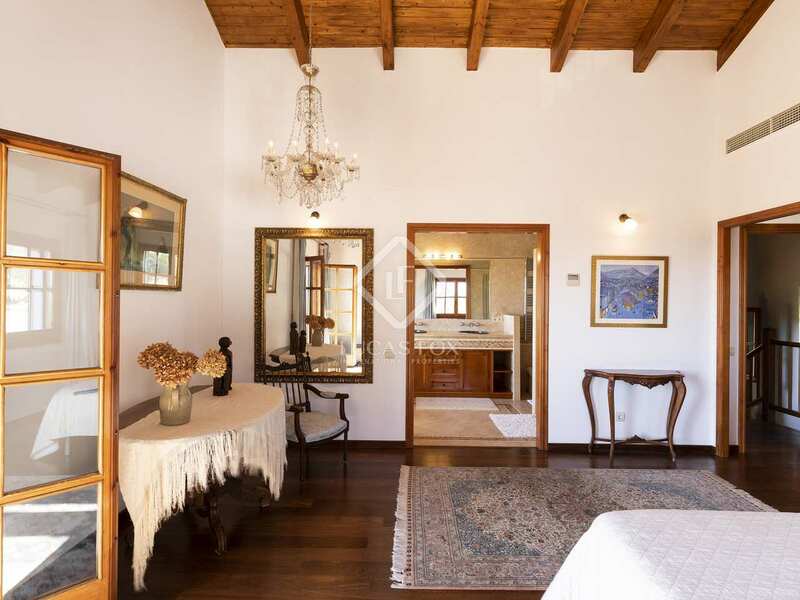 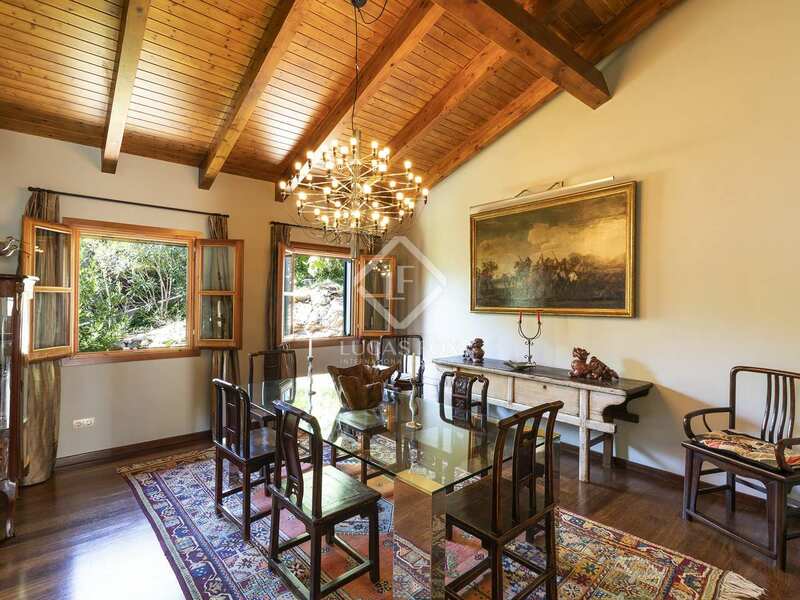 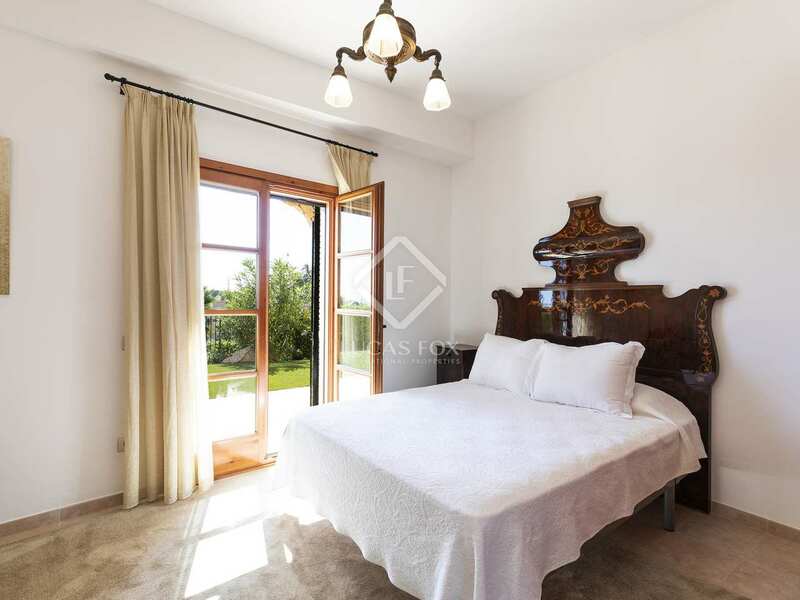 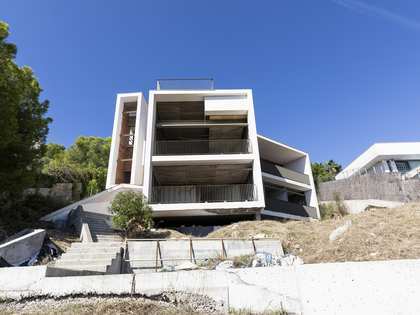 This remarkable property sits high in a privileged location in the upmarket residential area of Can Girona, overlooking the golf course, Sitges and the sea. 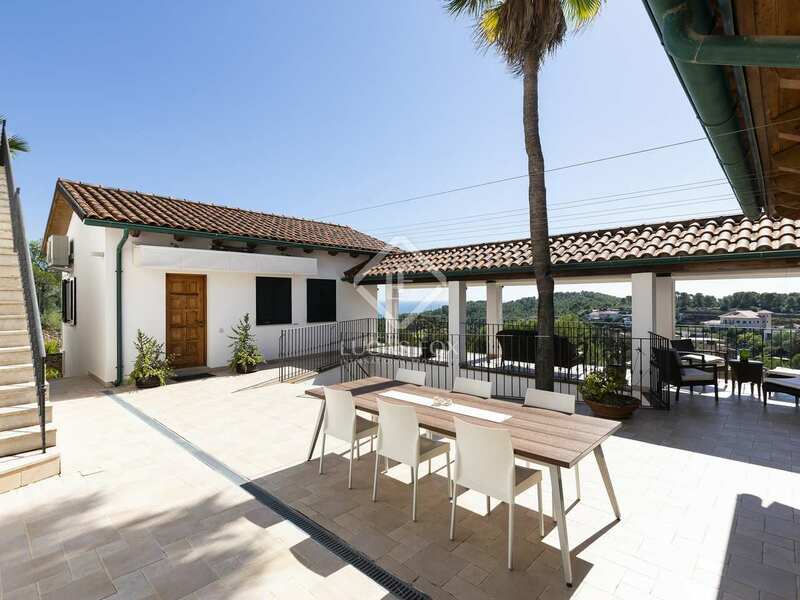 The house is just a 15-minute walk from the beach and a 5-minute drive from the centre of Sitges, with its 17 beaches, lovely promenade and buzzing social scene. 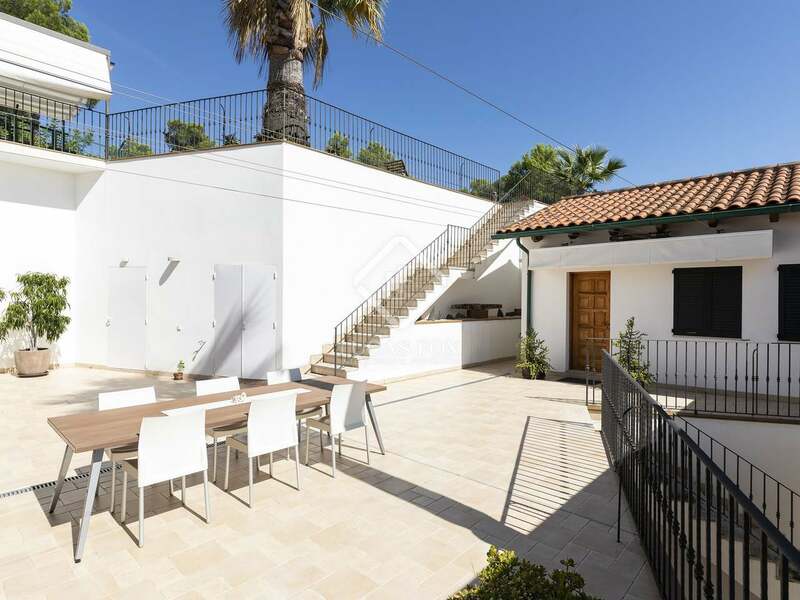 Sitges is a favourite for tourists and locals alike, and international families are attracted by the schools, lifestyle and wide range of properties on offer. 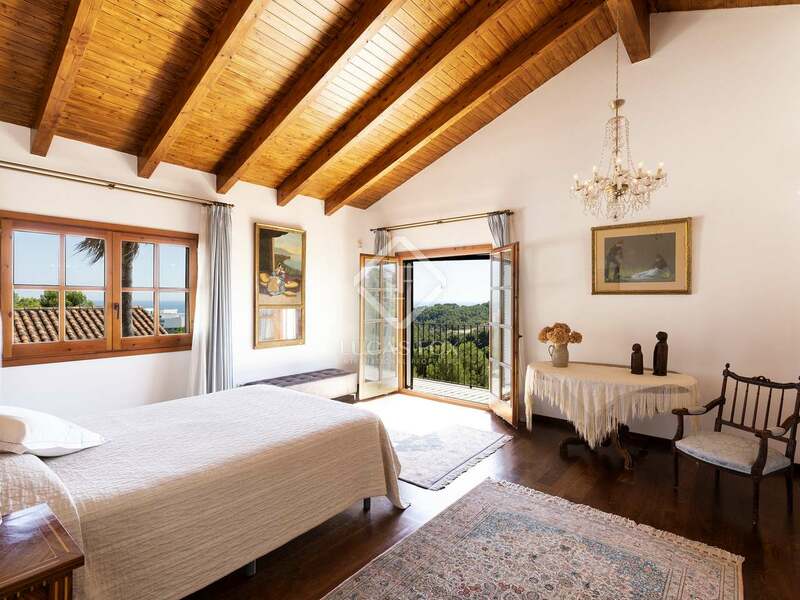 It is also just a 30-minute drive to Barcelona with all of its attractions and well-connected international airport.